Paraphrasing Mark Twain, the difference between making a large consumer purchase and buying a business is like the difference between lightning and a lightning bug. Every business sale is a totally unique transaction, which is the opposite of buying a commodity, like a car. And besides being the most complicated transaction you’re likely to ever undertake, with all of the components that make up any business, there’s one more, huge factor in buying a small business: It’s someone’s life. Consequently, the education process for such a transaction is quite involved. To help you get started, consider a few questions to ask a prospective business seller, suggested by my friend and business-buying expert Russell Brown, each followed by my thoughts. And while I’ve numbered them, you aren’t likely to ask them in this order. This isn’t abrupt or inappropriate as long as you work it in at the right time. Regardless of the answer, it’s information that may contribute to your decision about whether to buy, and how to negotiate. What Are the Industry Trends & Greatest Future Challenges? The answer will inform you, and/or tell you how much the seller understands the current marketplace. In the 21st century, market challenges and competition comes in many forms and from many directions. You’ll need both pieces of the puzzle to determine how much unclaimed opportunity can be realized. How Can I Increase Sales & Profits? You might think if the seller knew the answer to this he would just do it. But often he knows the answer, but doesn’t having the expertise, capital, or even desire to take that next step. This would be especially true regarding new technologies and 21st century marketing strategies. Will You Finance Part of the Purchase Price? 80% of all small business sales in the U.S. involves seller financing. Even if you don’t need it, ask for it and use it if available. Any terms from a seller will usually be better than the bank. Plus, it shows how confident the seller is about the business’ viability. Do not be afraid to ask this question. Will You Stay with the Business for a While? In most cases, you want the owner to agree to help you make the transition, which could range from a couple of weeks to months. Be cautious of any deal where the seller won’t spend any time with you. The proper amount of time is the day after the seller goes from being helpful to getting in the way. Who Knows the Business Is for Sale? Mishandling the news of any business being for sale can harm its viability, especially with key stakeholders: employees, customers and vendors. The trick is timing the announcement with closing the deal so that a gap doesn’t create problems. Who Will I Negotiate With & Who Will Make the Decision? 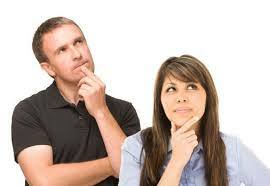 In selling or buying a business you must know who’s the decision-maker. Otherwise you can waste a lot of time dancing around with a surrogate who can’t pull the trigger. As a business buyer you need to be talking to the real decision-maker as soon as possible. One of the biggest impediments to putting a deal together is when the buyer and seller are on different time frames. When you ask this question listen for the time and the reason—they usually travel together.